Cheeky Charlie, a 2-year old British short-haired cat arrives with Kate and Adam after jumping off the sofa and injuring his hip. Noel discovers the ball at the top of the thigh bone is fractured, causing him to limp. Charlie is Kate and Adam’s first baby. They describe their feline family member as naughty and cheeky, causing mayhem and disruption wherever he goes. 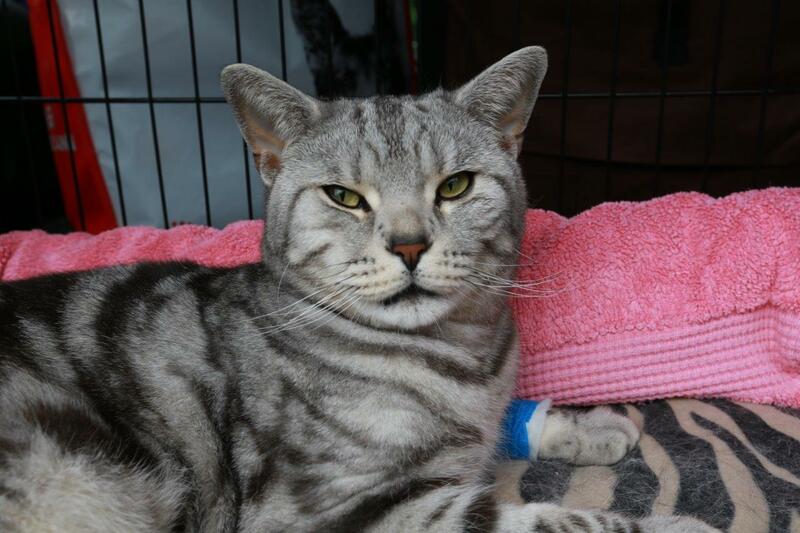 Charlie was brought to Fitzpatrick’s after an accident jumping off the sofa caused him to fracture his hip. On examination, Noel found that not only was the hip a problem, but the kneecap was slipping out of place too. Due to these issues, Charlie was suffering discomfort and quite a bit of pain. 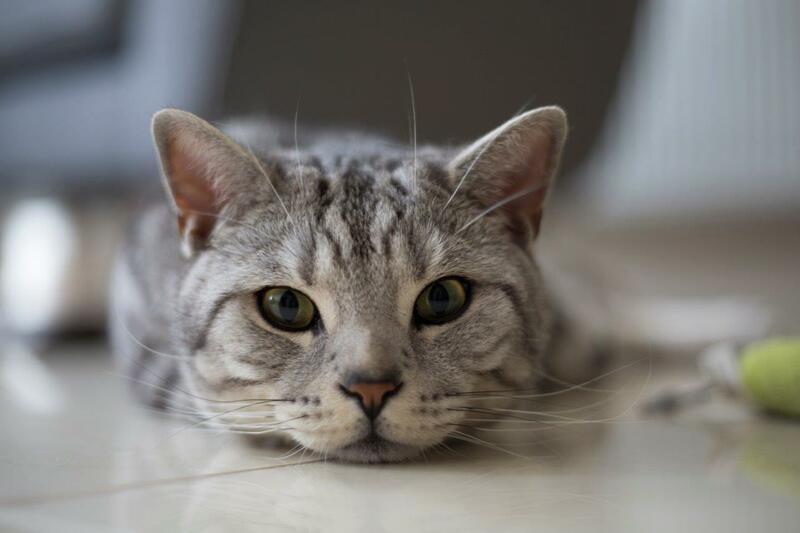 Total hip replacements are uncommon in cats but Noel believed it could give Charlie a better quality of life. As a young cat he still had a lot of life ahead of him if he could be out of pain. Kate and Adam (after asking whether Noel was up for it!) wanted to go ahead with the life changing surgery. To do the hip replacement, Noel needed to remove the head of the femur, drill a deeper socket in the pelvis and insert a plastic cup. A stem and ball implant was attached to the femur which would slot back into the joint held in by the soft tissues. To tackle Charlie’s slipping kneecap, Noel tightened the tissues around it, hoping this less invasive procedure would be enough to stop the knee popping out of its position. Post-operative imaging looked good, and all was crossed that in six weeks’ time all would be as good as new. After 8 days, Charlie was well enough to go home to continue his recovery with a detailed physiotherapy plan to help build up his strength once more. When the family returned for his six week check-up, the couple were concerned that Charlie was seemingly struggling to walk again. Noel found that the hip looked great however the knee has popped out of place again. Frustratingly, it meant another surgery to deepen the groove and narrow the kneecap so it would sit in place. No parole for this confined cat until another 4 weeks rest and recuperation! A few months later, Charlie is back to his mischievous self. His two surgeries have been successful and now enables him to get back to his misbehaving. The family are very happy to have their boy back to his usual self, and are now looking forward to enjoying time with Charlie and their new baby on the way, a little brother or sister for Charlie. 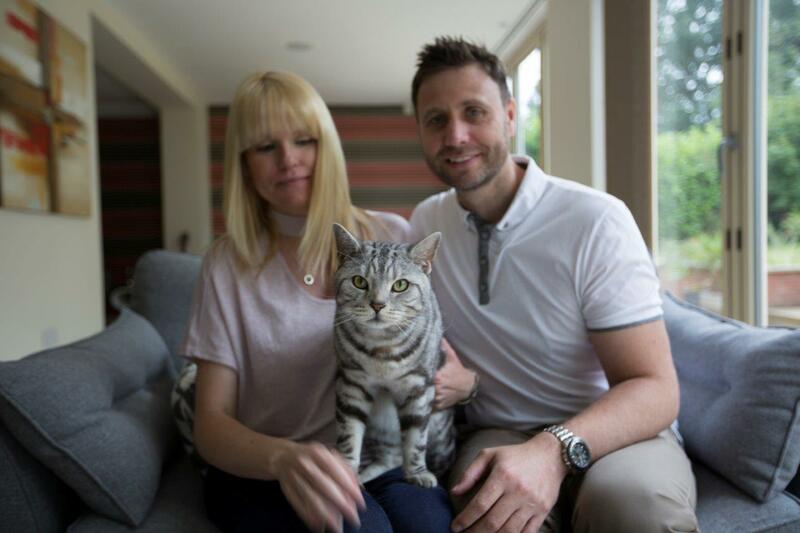 Total hip replacements are uncommon in cats, but increasingly families want more options for their animal family and faced with Charlie being uncomfortable and unhappy Kate and Adam wanted to give their cheeky cat the best possible chance... and what a result! New joint, new cat, happy family. Result!